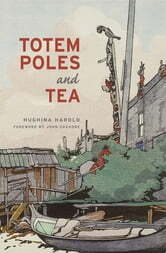 Hughina Harold paints a powerful picture of a world that no longer exists in this compelling account of her experiences as a young teacher and nurse on the remote Broughton Archipelago on British Columbia's coast in the 1930s. Fresh from nursing school in Victoria and eager to start work, Harold could not have imagined the challenges that awaited her in the tiny village of Mamalilikulla. Leaving the comforts of Victoria behind for a cold, leaky floathome that she shared with two elderly missionaries, she had to adapt quickly to her new circumstances. Transported in unreliable boats to remote outposts to treat the sick, attending births in the most primitive conditions, and teaching—from standard, middle-class textbooks—children who had never even seen a car, this gutsy young woman rose to the challenge. The clash of cultures Hughina experienced was extreme, but through it she developed a new understanding of the people she had been sent to teach and treat, discovering their age-old traditions and witnessing "things that should not be forgotten." Written decades later and based on letters Harold had written home, Totem Poles and Tea—updated in this second edition with original photos from the Harold family collection—ensures that her memories will be preserved.